As many of you know, for the past two years, my dear friend Mary Chavez has been courageously battling end stage renal disease. For the past year, she has been on dialysis 3 days per week, 4 hours a day. Mary has struggled through many medical complications and hospitalizations, and a transplant is now her only chance of survival. Through all of this, Mary has maintained a good attitude and is firmly focused on “living” so that she can enjoy her grandchildren as they grow up to be adults. Her strength to live is an inspiration to me and all those around her. Currently, Mary is completing her medical evaluation at St Luke’s Episcopal Hospital in the Medical Center in Houston, Texas. Mary will receive the gift of life from her daughter, Andrea Thomas, through a living donor kidney transplant. However, due to the extraordinary expense of the transplantation, as well as Mary’s inability to work and lack of insurance, funding for this life-saving operation is a monumental task. Mary will need between $7,000 and $13,000 (for the first year) for her admission to the hospital and her lifelong immunosuppressant medications. To help defray Mary’s uninsured medical expenses, a fundraising campaign in Mary’s honor has been established with HelpHOPELive (HelpHOPELive) to help pay transplant-related expenses not covered by Medicare. HelpHOPELive is a nonprofit organization that has been assisting the transplant community for over twenty-eight years. You can make a difference in Mary’s life – please consider making a tax-deductible contribution on her behalf. Credit card contributions can be made by calling 800-642-8399 or by selecting the DONATE NOW button. At times like these, the help of family, friends and the community is crucial to help ensure a successful outcome. Your financial gifts and prayers are greatly appreciated. Hi Mary, So many of us have you in our prayers and your strength is admirable. Stella keeps us all updated on your progres. You have been blessed to have a wonderful daughter and great friend. Lots of love pouring out to you both. Hi Mary! I'm keeping you and Stella both in my thoughts and prayers. I have posted this on Facebook, and plan to repost again next week - hope it helps :) Stay strong! Hi Mary! I'm keeping you and Andrea in my prayers. My sister had a Kidney transplant 3 years ago and she is doing wonderful. Stay strong in faith and may God bless each of you. Hi Mary - Know you are in my thoughts and prayers, I hated to hear this news. My Dad had a kidney transplant, my oldest brother was a donor and everything went amazingly well. He was 72 at the time. Remain hopeful and faithful! Hi Mary! Thinking about you and your family. Stay strong. Hi Mary! Greetings from sunny Florida. You are in my thoughts and prayers. Love ya! 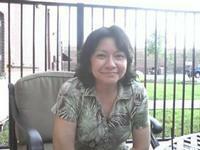 Mary, This is Maria andres other grandma. I will keep you in my prayers and of course will send this to my family and friends.